As Head of Finance at a large firm in the utilities industry, Chris Stone helped to implement fleet initiatives that were projected to result in cost savings of £1 million. In part one of this guest blog, he explains how to transform the fleet function within a large organisation. Old habits often die hard when it comes to making fleet cost savings. In my previous job, we successfully used telematics to underpin a driver behaviour programme that is expected to save the business £1 million. But, despite this potential, fleet is too often seen as an unavoidable cost rather than a source of potential efficiency gains for an organisation. As Head of Finance, my job was to focus on areas where there would be value on reducing cost and we saw a major opportunity in fleet. However, this was met with scepticism in other areas of the organisation. Some colleagues simply did not believe that scoring staff on their driving performance would have an impact on performance, let alone deliver substantial cost savings. More frustratingly, the majority failed to see that driving was as much a part of the business as gas distribution and maintenance. As a company, we drove over a million miles a month but most people saw repairs and maintenance as the engineers’ only responsibility. This is a common problem for organisations where there is a large fleet function but driving is not the primary focus of the business. Fleet is often the last area touched within a business, ignoring the fact that it is one of the easiest areas in which to improve efficiency and reduce cost. There’s a lack of focus because attention was singularly focused on keeping vehicles on the road rather than looking at how to keep them on the road at the lowest possible cost. Fuel spend was not even considered as a whole and only reported on across multiple depots and cost centres, making it impossible to consider the total impact on the business. In the utilities industry, cost savings usually mean using less materials or reducing overtime but these areas are more difficult to control. If a depot or an engineer fails to meet a specific key performance indicator (KPI), there is scope to contest that by citing factors such as complications related to specific jobs. It’s difficult to challenge an engineer on issues related to their area of expertise, as they need to be afforded a level of respect that they know their jobs. 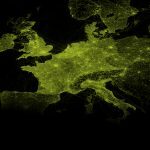 The beauty of telematics data is that there is no arguing with it. If the data shows certain depots are using more fuel than others or certain drivers are idling longer than others, this data comes direct from the vehicle and cannot be disputed. As a result, it’s easier to influence changes more quickly. Tackling the lack of focus on fleet is more tricky and requires a cultural shift within the organisation. This might start with a detailed business case that highlights the potential impact of using telematics to improve driver behaviour. For example, independent studies have shown telematics can help drivers to easily improve mpg by 10 per cent. If the average driver within the organisation drives 1,000 miles a month at 25 mpg, this might cost £215 at the current average fuel price of £5.37 for a gallon of diesel. If a 10 per cent improvement in mpg is achieved, this would equate to a free 100 miles per driver, an equivalent monthly saving of £19.72 per driver. This might not seem like a significant sum but when applied across a fleet of 2,000 vehicles, it would mean savings of £39,440 a month and £473,280 a year. On top of this, a safer, more efficient driving style will also result in reduced maintenance costs and lower insurance premiums, while improved routing and scheduling can also contribute to reduced fuel costs. Such numbers provide a persuasive case and can form the basis of a strong business case to persuade internal stakeholders of the value of re-evaluating fleet operations. Check back next month on the Fresh Fleet Thinking blog for part two of Chris Stone’s guest blog. 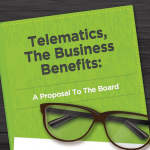 In the meantime, read our blog outlining key benefits of telematics to persuade the board to buy in. 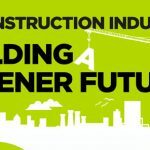 Are UK construction companies really committed to greener and cleaner?